The fastest (also known as accelerated) international business degree programs are growing in popularity for placing full-time, motivated students on a direct nonstop flight to global success. Choosing B-schools with faster degree formats is a strategic move that reduces your study time and tuition. Many of the fastest international business degrees are available online with 24/7 access to nix lengthy campus commutes too. International business majors could quickly unlock high-paying jobs, such as logistician, management consultant, finance manager, HR specialist, and trade coordinator, on a global stage. The BLS reports that business jobs will grow by 8 percent through 2024 for an overall median annual wage of $66,530. Plus, investing in a 12-month MBA unlocks an average salary increase of 75 percent for income from $90,000 to $200,000. All of this (and more) is why we created our ranking of the Top 30 Fastest International Business Degree Programs. Our methodology behind this ranking was simple. We began when we combed through the NCES College Navigator tool to find only the best programs available. We conducted an advanced search to filter bachelor’s and advanced degrees in international business/trade/commerce and received 34 pages of results. Next, we narrowed down our options based on program length. Each college had to offer accelerated formats for completing the degree faster than normal, preferably 10-16 months. We gave priority to business schools that are nationally accredited by the AACSB, ACBSP, and IACBE. Integrating short study abroad experiences was also preferred. Lastly, we filtered out international business colleges based on published rankings from the U.S. News, Forbes, Bloomberg BusinessWeek, Niche, and more. Attracting 10,213 post-grads from 130+ nations, Georgetown University is a private, Catholic RU/VH institution endowed for $1.484 billion in the District of Columbia. Georgetown was ranked America’s 21st best graduate business school with the seventh top online business courses by the USNWR. Housed in the Rafik B. Hariri Building, the AACSB-accredited McDonough School of Business offers the 12-month M.A. in International Business & Policy fast with six, week-long residencies in Washington and two four-week online courses. Learn more about the Top Fastest International Business Degree Program at Georgetown University here. Led by President Martha E. Pollack, Cornell University is a private, land-grant RU/VH Ivy League member endowed for $5.758 billion to educate 7,589 post-grads in Ithaca, New York. Ranked America’s 16th best graduate business school by the USNWR, Cornell unlocks the 31st best salary increase according to The Economist. Starting every May, the AACSB-accredited Johnson College’s One-Year MBA integrates 10 required courses, an accelerated Global Management concentration, and international study trips from India to Colombia. Learn more about the Top Fastest International Business Degree Program at Cornell University here. Chartered as Whitewater Normal School in 1868, the University of Wisconsin-Whitewater is a public, co-educational AACSB-accredited college located in Walworth County to educate over 1,210 Warhawks. Given The European Best in Distance Learning Award, UW-Whitewater is recognized for America’s 16th top online MBA by the U.S. News. The College of Business & Economics offers an International Business Concentration for the fast, 36-credit Online MBA with global partnerships at Aix-Marseille University, Deakin University, and more. Learn more about the Top Fastest International Business Degree Programs at the University of Wisconsin – Whitewater here. Florida International University is located in Miami-Dade County as a public, doctoral-granting RU/VH institution serving 8,770 post-grad Panthers. Placed seventh on CollegeNET’s Social Mobility Index, FIU is ranked for America’s 16th best graduate online business education by the U.S. News. Offering the $10,000 Affiliate Partner Scholarship, the AACSB-accredited Chapman School of Business grants a 42-credit, accelerated Corporate MBA online in just 18 months with a high-demand International Business specialization to individuals with 4+ years of experience. Learn more about the Top Fastest International Business Degree Programs at Florida International University here. Within the Pac-12, Washington State University is a public, land-grant R1 research hub opened in 1890 that’s now educating 5,200 post-grad Cougars in Pullman and beyond. Placed in CEO Magazine’s “Tier One Global Executive Programs,” WSU houses the 27th top online MBA program according to the U.S. News. The AACSB-accredited Carson College offers the Executive MBA concentrated in International Business 100 percent online for fast completion in 18 months with field study in Shanghai and Beijing. Learn more about the Top Fastest International Business Degree Programs at Washington State University here. Ideally positioned in the Detroit Metro just 14 miles from Windsor, Canada, the University of Michigan-Dearborn is a public, co-educational NAIA member endowed for $30.29 million to enroll 1,670 post-grad Wolverines. Noted for America’s 36th best online MBA on the USNWR, Dearborn was ranked #2 for business in Michigan by Bloomberg BusinessWeek. In 12-16 months, full-time students with an average GMAT score of 594 quickly finish the AACSB-accredited College of Business’ 36-credit MBA International Business Concentration. Learn more about the Top Fastest International Business Degree Programs at the University of Michigan here. Linked to 120,000 alumni, including Andrew Puzder and Tim Russert, Cleveland State University is a public, research-intensive Urban 13 member in Ohio’s second-largest city. 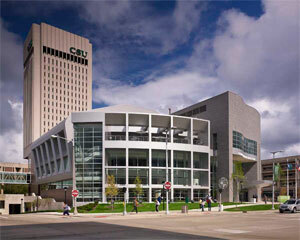 Honored for America’s 47th top online MBA by the U.S. News, CSU was placed 30th globally in CEO Magazine. Holding AACSB accreditation, the Monte Ahuja College of Business provides a 34-credit Online Accelerated MBA with International Business Concentration in only 12 months through Blackboard with faculty-led trips to Barcelona or Dubai. Learn more about the Top Fastest International Business Degree Programs at Cleveland State University here. Founded by Arthur D. Little in 1964, Hult International Business School is a private, Boston-based nonprofit that has produced 17,000 alumni of 150+ nationalities. The Hult MBA was ranked 17th in Bloomberg BusinessWeek and 55th by The Economist globally. Advancing earning power by 130 percent, the Global One-Year MBA is an accelerated, 54-credit international business option dually accredited by the EQUIS and AACSB that integrates rotations in San Francisco, London, Dubai, and Shanghai. 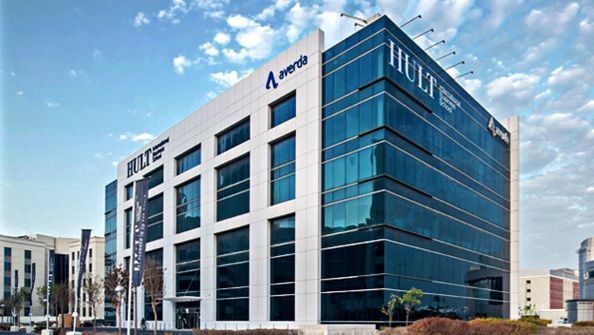 Learn more about the Top Fastest International Business Degree Programs at Hult International Business School here. Launched by the CSU Board of Governors in 2007, Colorado State University-Global enrolls 5,300 post-grad Eagles as a public, 100 percent online institution in Greenwood Village. Granted the 2015 Online Students Before Profits Award, CSU-Global is recognized by the U.S. News for America’s 62nd best online graduate business degrees. One of the fastest is the 36-credit, ACBSP-accredited Master of International Management, which has 14 specializations like Business Intelligence, Finance, Human Resource Performance, and Strategic Innovation. 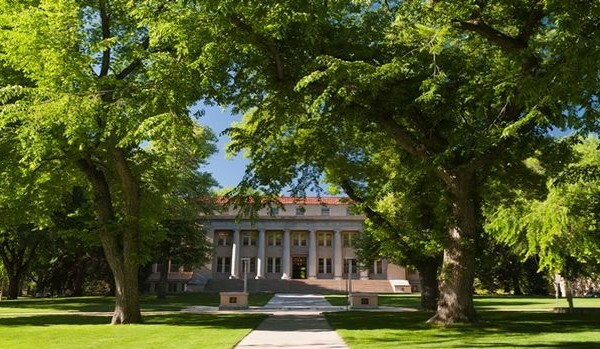 Learn more about the Top Fastest International Business Degree Programs at Colorado State University here. Endowed for $80 million, Hawaii Pacific University is a private, nonsectarian institution tracing back to 1965 that’s serving 550 post-grad Sharks on Oahu. Lauded for America’s #1 campus diversity in USA Today, HPU is ranked the 61st best Western college by the U.S. News. The College of Business, an AACSB member, has enrolled students from 100+ countries in its 12-month, project-based MBA with the International Business Concentration in Honolulu, which has approved 450 study abroad opportunities. Learn more about the Top Fastest International Business Degree Programs at Hawaii Pacific University here. Featuring America’s oldest study abroad program, the University of Delaware is a public/private, land-grant RU/VH institution in Newark with 4,499 post-grad Blue Hens. Ranked the 68th best college for business on Niche, Delaware was recognized by the USNWR for the 65th top MBA online. The AACSB-accredited Lerner College offers GMAT waivers for quickly entering the 44-credit Online MBA in International Business and finishing the seven-week courses within just 16 months for an average salary of $98,477. 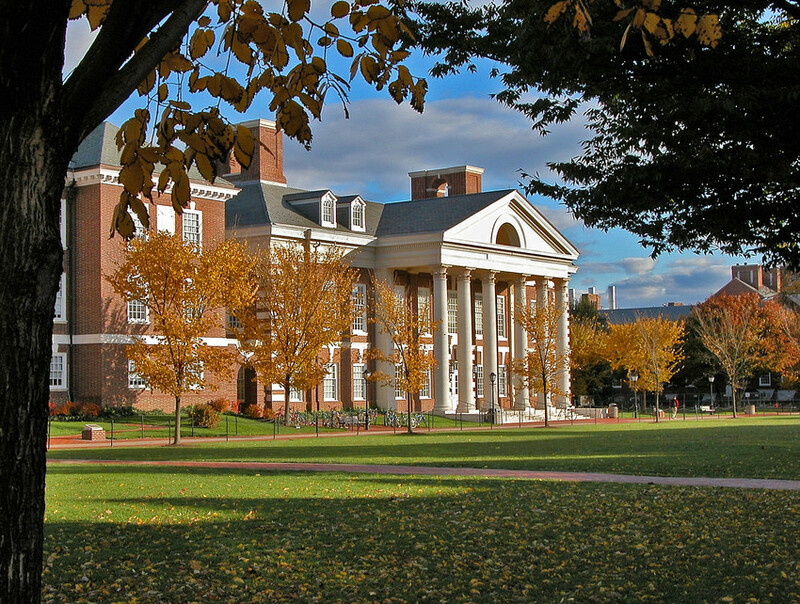 Learn more about the Top Fastest International Business Degree Programs at the University of Delaware here. Directed by Chancellor Michael Amiridis, the University of Illinois-Chicago is a public, Hispanic-serving RU/VH institution enrolling 11,473 post-grad Flames from the Near West Side. Included in The Princeton Review’s “Best 294 Business Schools,” UIC is recognized for America’s 66th best MBA by the U.S. News. Full-time, accelerated cohorts can finish the Liautaud College of Business’ AACSB-accredited, 54-unit MBA with an International Business Concentration, including the two-week Doing Business in Brazil course, in 12 months. Learn more about the Top Fastest International Business Degree Programs at the University of Illinois – Chicago here. Located 14 miles west of Boston in Wesley, Massachusetts, Babson College is a private, nonprofit business institution endowed for $346.7 million to serve 850 post-grads. Ranked #8 for career progress in Financial Times, Babson was deemed America’s 69th best graduate business school by the USNWR. Admitting post-bachelor’s students with an average GMAT score of 601 and 3+ years of experience, the AACSB-accredited Olin Graduate School’s Accelerated One-Year MBA has a Global Management Concentration and 80+ abroad electives. Learn more about the Top Fastest International Business Degree Programs at Babson College here. Affiliated with 36 Goldwater Scholars, West Virginia University is a public, space-grant SURA member endowed for $515 million in Morgantown to teach over 6,600 post-grad Mountaineers. Ranked America’s 130th best public school on Forbes, WVU is applauded for the 66th best online graduate business courses by the U.S. News. The AACSB-accredited College of Business and Economics offers a speedy, 14-month Full-time MBA with Global Perspective that requires a 10-day trip to Europe or Asia. Learn more about the Top Fastest International Business Degree Programs at West Virginia University here. Founded by the Dougherty Brothers in 1899, Appalachian State University is a public, master’s-level UNC System constituent endowed for $94.64 million to educate 1,000 post-grads in Boone and beyond. Named America’s 151st best college for business on Niche, App State has the 66th best online graduate education according to the USNWR. The 36-credit, AACSB-accredited Walker College MBA can be completed in 12-16 months full-time with an International Business Concentration and trips to Taiwan or France. Learn more about the Top Fastest International Business Degree Programs at Appalachian State University here. 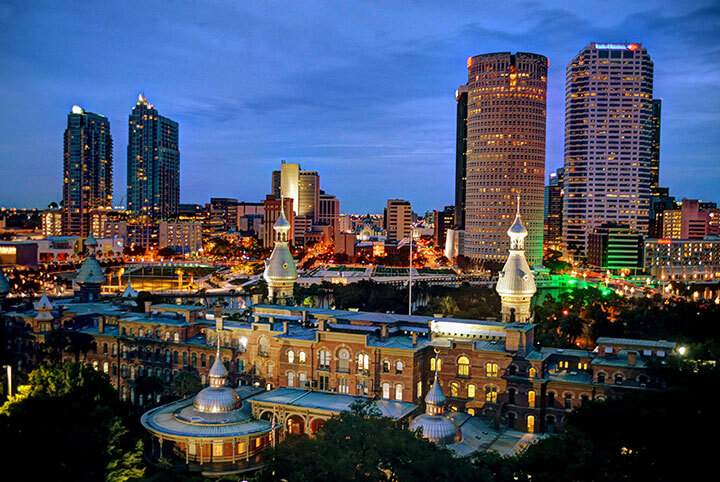 Serving 8,310 Spartans from 140 countries, the University of Tampa is a private, nonprofit IC&UF member endowed for $33.8 million on its 110-acre urban campus on Florida’s west coast. Ranked the South’s 21st best college by the U.S. News, Tampa is applauded in Bloomberg BusinessWeek for the 78th top MBA nationally. The AACSB-accredited Sykes College of Business provides accelerated, daytime courses to finish the MBA in International Business Concentration in 12 months with global practicum. Learn more about the Top Fastest International Business Degree Programs at the University of Tampa here. Employing 1,240 instructors to teach 23,090 undergrads, Colorado Technical University is a private, for-profit “Best for Vets” school founded in the Rockies in 1965. Bestowed the Eduventures 2016 Innovation Award, CTU is recognized by the U.S. News for America’s 81st best online bachelor’s degrees. Thanks to Fast Track exams, undergrads in the ACBSP-accredited B.S. in Business Administration program can quickly complete the International Business Specialization up to 30 percent faster in Denver, Colorado Springs, or online. Learn more about the Top Fastest International Business Degree Programs at Colorado Technical University here. Organized by President Rev. Tom Ries, Concordia University-St. Paul is the second-largest private, nonprofit Lutheran HLC-accredited institution endowed for $21.4 million to educate 2,800 undergrads from the Twin Cities. Noted for America’s 81st best online bachelor’s degrees by the USNWR, Concordia is deemed the 59th top online college on Niche. Undergrad transfers can quickly finish the 54-hour B.S. in International Business in two years with a short-term study abroad assignment and CLEP foreign language exam. Learn more about the Top Fastest International Business Degree Programs at Concordia University – St. Paul here. Owned by Career Education Corporation, American Intercontinental University is located in Schaumburg, Illinois, to serve over 15,500 adults as a for-profit, “Serious U” with open admission. Crowned America’s 58th best online college on Niche, AIU is ranked for the 110th best online graduate education by the U.S. News. In only 11 months, graduates can achieve the 48-credit, ACBSP-accredited MBA in International Business in Atlanta, Houston, or online with courses like global finance and emerging markets. Learn more about the Top Fastest International Business Degree Programs at American Intercontinental University here. As the Midwest’s fastest-growing private, nonprofit liberal arts school, Lindenwood University enrolls 3,760 post-grad Lions on 500 suburban acres outside St. Louis, Missouri. Placed #1 in St. Louis Business Journal, Lindenwood is ranked for America’s 127th top online MBA program by the U.S. News. The ACBSP-accredited Robert W. Plaster School of Business offers fast, nine-week terms five times annually to quickly complete the 39-credit MBA International Business Emphasis on-campus or online with a three-credit global internship. Learn more about the Top Fastest International Business Degree Programs at Lindenwood University here. Southern New Hampshire University is based in Manchester as a private, nonprofit college with “Best of Business” awards and over 61,280 students. Declared America’s 68th best online college on Niche, SNHU delivers the 132nd best online bachelor’s degrees according to the U.S. News. Since 1980, the ACBSP-accredited School of Business has offered the International Business (B.S.) Degree in Three to accelerate the 120-credit curriculum with minors like Hospitality or Finance and save an entire year of tuition. Learn more about the Top Fastest International Business Degree Programs at Southern New Hampshire University here. 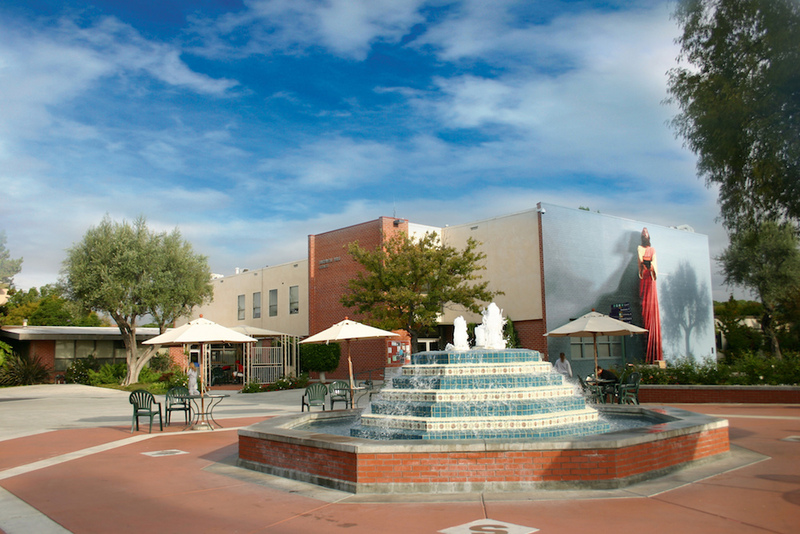 Nestled in La Mirada just 16 miles from Los Angeles, Biola University is a private, evangelical Christian institution with over 60,000 alumni. Ranked the 164th best national university by the USNWR, Biola is applauded for America’s 159th best business degrees on Niche. The ACBSP-accredited Crowell School of Business delivers accelerated, seven-week courses online for associate grads to finish the B.S. in Business Management with the International Business Concentration and Credits for Prior Learning (CPL) in 24 months full-time. Learn more about the Top Fastest International Business Degree Programs at Biola University here. Opened in 1863, Bryant University is a private, nonsectarian business-oriented institution in Smithfield, Rhode Island, that’s instilling the “Character of Success” in 3,614 Bulldogs. Deemed America’s 143rd best college for business on Niche, Bryant is ranked the ninth top Northern university by the USNWR. Cohorts in the AACSB-accredited College of Business can specialize the Accelerated One-Year MBA in Global Finance, Global Supply Chain Management, or International Business and travel abroad in January to Panama, Haiti, or Chile. Learn more about the Top Fastest International Business Degree Programs at Bryant University here. Endowed for $108 million, Belmont University is Tennessee’s largest private, Christian school with 7,350 Bruins studying in Nashville. As the South’s sixth best university on the USNWR, Belmont is ranked the 156th best business college in America on Niche. Accepting an average GMAT score of 540, the 12-Month Accelerated MBA offers an International Business Concentration with evening courses in the AACSB-accredited Massey Graduate School, a Spring internship, and two weeks of global study in Columbia. Learn more about the Top Fastest International Business Degree Programs at Belmont University here. Attracting 4,174 students from 35+ countries, California Lutheran is private, WASC-accredited Christian institution founded in 1959 that’s endowed for $83.3 million in Thousand Oaks. Named the West’s 16th best school by the U.S. News, CLU is ranked the 189th best college for business in America on Niche. Through eight-week courses online, graduates can finish the 45-unit Master of Business Administration specialized in International Business in just 12 months with travel seminars to China or Austria. Learn more about the Top Fastest International Business Degree Programs at California Lutheran University here. Putting “God First,” Azusa Pacific University is a private, Wesleyan-Holiness CCCU member that’s enrolling around 6,540 undergrad Cougars at two California locations. APU was ranked the 183rd best national university by the U.S. News and America’s 218th best business college on Niche. The IACBE-accredited School of Business and Management lets APU transfers finish the 64-unit B.S. in International Business degree completion program in two years on-campus at Azusa with summer travel intensives in Europe or Asia. Learn more about the Top Fastest International Business Degree Programs at Azusa Pacific University here. Located in the Chicago suburb of Lisle near Argonne National Laboratory, Benedictine University is a private, Catholic HLC-accredited school that’s teaching 6,100 Eagles. Placed sixth nationally by Crain’s Chicago Business, Benedictine is America’s 220th top university according to the USNWR. Boasting 31,125 active alumni with 94 percent satisfaction, the 11-course Online MBA in International Business in completed in one to 1.5 years full-time with a mini capstone global experience in Mexico, Denmark, or Japan. Learn more about the Top Fastest International Business Degree Programs at Benedictine University here. Led by President Anne B. Kerr, Florida Southern College is a private, Methodist SACS-accredited institution endowed for $55 million in Lakeland to serve 2,500. Included in Business Research Guide’s “Top 20 Most Innovative Small Colleges,” FSC is ranked the South’s 20th best school by the U.S. News. Available 100 percent online or in a Saturday hybrid format, the accelerated, 44-credit MBA with Global Focus is completed in 16 months after international trips to Brazil, Germany, Malawi, and more. Learn more about the Top Fastest International Business Degree Programs at Florida Southern College here. Northcentral University is a for-profit, doctoral research institution directed by President George A. Burnett virtually from Scottsdale, Arizona, to educate 10,093. Given an A+ BBB rating, Northcentral is ranked America’s 29th best online university by the Online Education Database (OEDb) with an ACBSP-accredited School of Business. Starting 52 times weekly without GMAT scores, the Accelerated MBA Program offers a fast-paced, 30-credit curriculum for completion in just 12 months with an International Business Specialization and class size of one. Learn more abou the Top Fastest International Business Degree Programs at Northcentral University here. 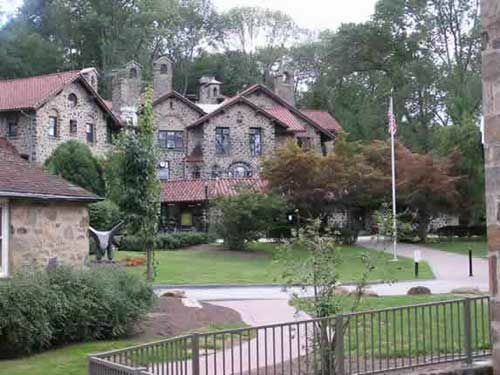 Located in St. Davids, Pennsylvania, Eastern University is a private, Baptist CCCU member devoted to “Faith, Reason, and Justice” in educating over 4,300 Eagles. Featured in America’s “50 Best Schools for Older Students” on BestColleges.com, Eastern was picked for the 222nd best online bachelor’s degrees by the USNWR. Enrolling every seven weeks, the ACBSP-accredited B.S. in Business Administration welcomes adult transfers to finish the 39 credits in two years online or at Philadelphia, Esperanza, and East Falls locations. Learn more about the Top Fastest International Business Degree Programs at Eastern University here. This entry was posted in University Rankings on June 23, 2017 by rebecca.